The NRA’s Life of Duty has a video about an US Air Force unit that is designed to respond to chemical, biological, radiological and nuclear incidents. These folks deal with the scariest stuff on the planet. On Tuesday, September 11, 2001, I was nearly two hours into a Daywatch patrol shift when I decided to swing by a high school and visit with the school resource officer. The school was in my sector and the SRO was by himself. With more than 2000 students, I knew he needed some back-up on occasion. As I entered his office, I saw him intently staring at the television and absently chewing a Twizzler. He did not look up at me when I came in. I sat down next to him and asked what was going on. “Not sure,” he said. It was about 8:50 am. We began watching the terror attacks unfold. At 9:03, we watched as the second plane hit the World Trade Center. The Pentagon was next around 9:37. Within an hour of me entering that office, the United States of America had woken to the power of terrorism. The SRO got a call from the school’s administrative office. Parents were panicking. Visit the NRA’s Life of Duty site for more videos honoring the heroes of 9/11. Police response to terrorism in the wake of the Norway terrorist incident is the topic of today’s police training podcast. 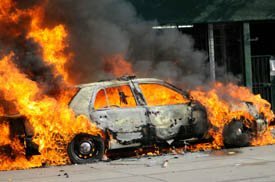 Last week’s terrorist attacks in Norway should be a wake up call to every community that thinks “It can’t happen here.” I look at what we know so far from the incident, consider some of the ramifications of responding to bomb attacks and examine police response to active shooter scenarios. The incident in Norway was beyond ugly, but it is not unprecedented. Nor will it be the last. Law enforcement must prepare to respond to terrorism today. Norway suffered a great tragedy on Friday when dozens of people, many of them teens, were gunned down by at least one subject dressed as a police officer. At this time, it appears this attack was coordinated with a bomb that was set off outside the prime minister’s office earlier in the day. If you have paid attention to world events, you know this is not an original incident. Bombs have been detonated by terrorists around the world for almost as long as we have had explosive technology. Mass shooting incidents are also not new. There are a few things about this incident, which are important to consider. An attack may be the main attack, or it may be a distraction. It is impossible to say at this time what the intent of the terrorist(s) was with the bombing. However, that attack likely pulled resources toward it. Officers may have been diverted from other areas to respond to that incident location, which may have reduced the ability to respond to the second attack. The Southern Poverty Law Center (SPLC) is an organization that, among other things, monitors hate groups in the USA. For years, the SPLC has provided training and material support to law enforcement agencies that investigate crimes related to bigotry. In fact, I pass one of their posters that shows hate group tattoos every day when I walk into the muster room for roll call. I wrote an article about how terrorists have targeted schools and killed hundreds of children in Beslan. In this article I tried to explain how important it is for us, as police officers, to prepare now to respond to the planned attacks against our children. I got a few emails that ranged from dismissive disbelief to outright denial, claiming that I was an alarmist. Frankly, I hope they are right. Because if I am right, and everything I have read on the subject from credible sources, such as Lt. Col. Dave Grossman and US-CENTCOM, is even remotely accurate, we will face a horror unlike anything this country could be prepared to deal with. So, here are a few more facts that you may have heard, but just not pieced together yet. This compilation comes from the article “Imagining the Unimaginable” written by Brad Thor in the October 2007 issue of Fusion magazine. 2005 – Al Qaeda documents are intercepted that discuss the merits of attacking soft targets, specifically schools. In Afghanistan, U.S. forces capture an Al Qaeda training camp where videos were recovered showing terrorists staging takeovers of schools. The terrorists gave orders in English, violence was extreme, and childrens’ bodies were flung from the roofs for a greater media effect. In Iraq, U.S. forces capture blueprints and floorplans to United States schools in Texas, Virginia, New Jersey, California, Oregon, and Pennsylvania. February 2006 – The Department of Homeland Security is reported to have started a training program for school bus drivers, in which the drivers would learn to watch for terrorists who were casing the bus routes. 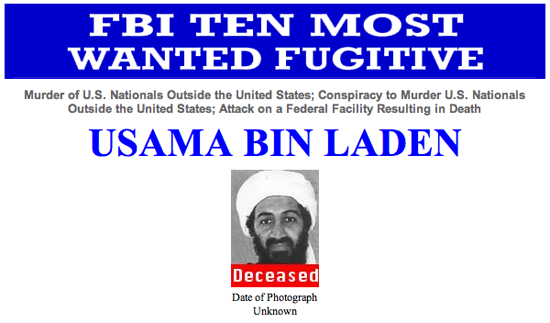 June 2006 – 17 members of an Islamic terrorist cell are arrested in connection to a mass bombing plot. One of the 17 is a school bus driver. 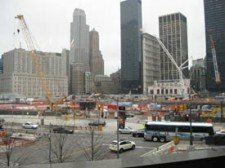 August 2006 – Three unidentified middle eastern men entered the United States from Canada and attempted to purchase multiple school buses. March 2007 – The Associated Press reported that the FBI sent out a bulletin to law enforcement agencies warning officers that terrorists were attempting to obtain driver’s licenses that would enable them to drive school buses. August 2007 – 17 school buses go missing in the Houston, TX area. Authorities state that this is a “homeland security concern.” Note that Texas is one of the states from which school floorplans were found in Iraq. Pay attention to the schools in your beat. Offer suggestions to school and department administrators to improve student safety and increase police training for terrorist response. And should the worst happen, act decisively with overwhelming firepower to drop the bastards and keep them from killing our kids.